It's 2014! Wow, the year went by fast, right? I hope you had a great holiday season! I'm excited about the new year & hope that it's the best one yet...for me & for you! The first weekend in January was a pretty great one, we went to game night on Friday, celebrated our niece's 4th birthday Saturday & today, we've been taking it easy. I've spent most of the day up in my craft room & Andrew's been watching football, pretty perfect little Sunday if you ask me. Here's a glimpse of what I was up to food & craft wise this weekend! On Friday we had game night. 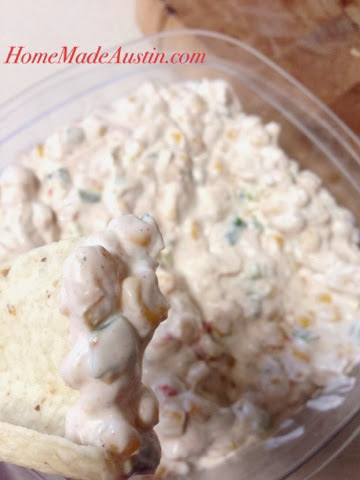 I brought my cousin's wife's awesome Mexi-Corn Ranch Dip. It's something different: a little spicy, a lot creamy & delicious with corn chips. Thanks for sharing your recipe Jill! 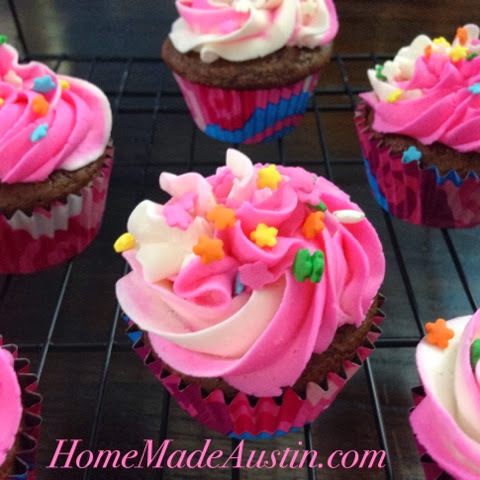 On Saturday, I whipped up chocolate cupcakes with fun pink & white vanilla buttercream for our niece Zoey's 4th birthday. It was so fun catching up with family & celebrating our sweet, playful Zoey! Today I took a Christmas clearance find & added a little ribbon to make it work for Winter. 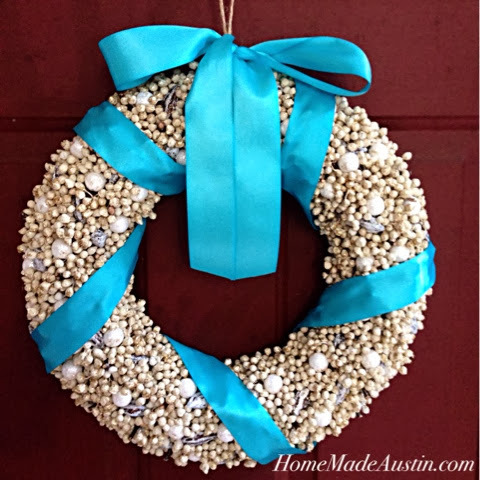 I found this pretty white wreath at Target after the holidays for $10.48 (Regularly $34.99). I thought it'd be prefect for January. I wanted to add a little personality, so I used a few glue dots (in case I want to change the ribbon later) to add this bright blue ribbon to the wreath. The ribbon was actually left over from our wedding!